Lark Voorhies Spotted at Farmer's Market in LA -- See the Rare Pic! 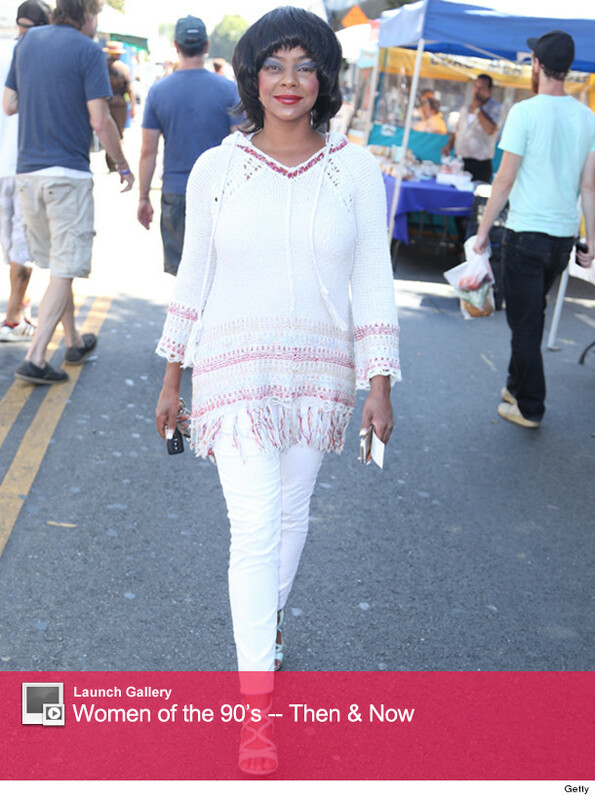 On the heels of the premiere of the Lifetime movie, "The Unauthorized Saved By The Bell Story," Lark Voorhies, the original Lisa Turtle, made an extremely rare public appearance at a Los Angeles farmer's market on Saturday. The 40-year-old actress looked almost unrecognizable, sporting heavy blue eye makeup, a bold red lip and a dramatic bowl cut hairstyle. Voorhies has kept a low profile over the last few years -- popping up occasionally for a rare photo op or TV interview and then vanishing again. She made headlines in 2012 after a strange interview with People magazine, where she was described as "mumbling to herself or to others who weren't there." Her mother also claimed she was bi-polar, but Lark denied it. What do you think of Lark's latest look? Tell toofab in the comment section below, and check out the gallery above to see more women of the 90's! Click "Launch Gallery" below to see all of your favorite "Saved By the Bell" stars -- then and now. See a Sneak Peek of "The Unauthorized Saved by the Bell Story"